EcoPaperLoop has representatives in every country that is involved in the project. 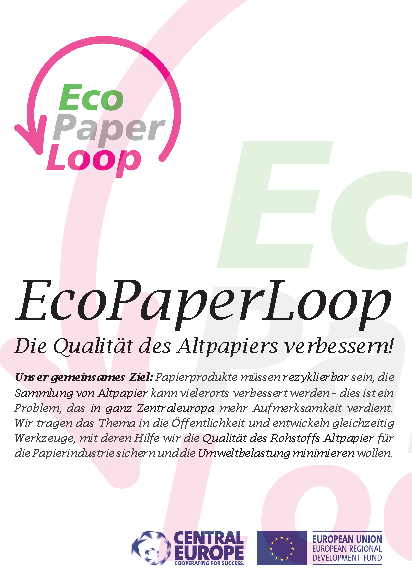 Copyright 2012-2015 EcoPaperLoop Public Relations, Axel Fischer. This project is co-funded by the European Union/European Fund for Regional Development under Grant No. 4CE555P3.